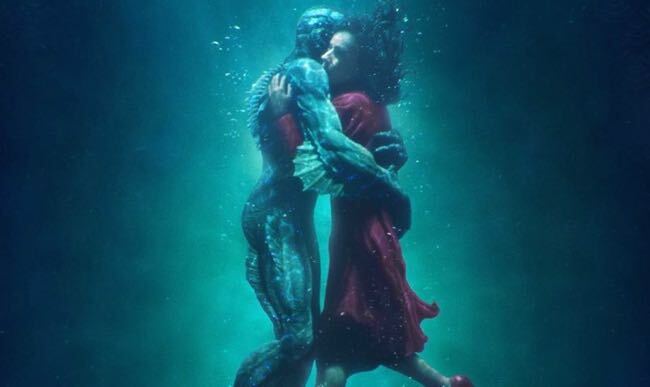 LONDON – My hopes are with Guillermo del Toro’s dazzling “The Shape of Water” (pictured) at tonight’s 71st British Academy Film Awards although such is the high calibre of most of the nominees that it would be hard to begrudge other winners. ‘The Shape of Water” gets my vote for best film because of its sumptuous style and many small miracles of cinematic magic with glorious images and fine acting. Martin McDonaugh’s “Three Billboards Outside Ebbing, Missouri” also is highly deserving with its startling originality and more splendid acting. “Darkest Hour” and “Dunkirk” have great merit but also serious flaws although the sun-dappled Bernardo Bertolucci knock-off “Call Me By Your Name” hardly warrants a nomination. The Outstanding British Film category is confusing as the very British “Dunkirk” is not on the list but the very American “Three Billboards” is. “The Death of Stalin” and “Paddington 2” are two excellent examples of British filmmaking, so this is a hard choice. It’s also difficult to separate the five directors while both screenplay categories and cinematography present a quandary. Three memorable performances stand out for Leading Actress with Sally Hawkins (“Shape of Water”), Frances McDormand (“Three Billboards”) and Saoirse Ronan (“Lady Bird”). Margot Robbie is plucky in “I, Tonya” although the film is all over the place and the presence of Annette Bening who overacts terribly in “Film Stars Don’t Die in Liverpool” is baffling. Jennifer Lawrence (“mother!”) or Rosamund Pike (“Hostiles”) would have been better choices. Gary Oldman gives the finest portrayal of Winston Churchill I’ve ever seen on screen in “Darkest Hour”. He’s so good that the prosthetics and CGI tweaking are irrelevant. Daniel Day-Lewis gives a master class in “Phantom Thread” and Daniel Kaluuya adds depth to the witty and insightful “Get Out”. Jeremy Renner (“Wind River”) and Christian Bale (“Hostiles”) would have made better nominees than the full-of-promise Timothée Chalamet (“Call Me By Your Name”) or the not quite there yet Jamie Bell (“Film Stars Don’t Die in Liverpool”). Laurie Metcalf (“Lady Bird”), Kristin Scott Thomas (“Darkest Hour”), Lesley Manville (“Phantom Thread”) and Octavia Spencer (“Shape of Water”) are all excellent in the Supporting Actress category although Alison Janney does little more than stare and swear constantly in “I, Tonya”. Hong Chau (“Downsizing”) or even Michelle Pfeiffer for her cameo in “mother!” would have been more welcome. Sam Rockwell and Woody Harrelson make terrific contributions to “Three Billboards” in the Supporting Actor category and Hugh Grant’s nomination is richly deserved for “Paddington 2”. Christopher Plummer’s nod for the ragged “All the Money In the World” appears to be applause for showing up and not bumping into the furniture in Ridley Scott’s reshoot and Willem Dafoe’s presence appears to be a sympathy vote for having to put up with the amateur kids in “The Florida Project”. The great shame of these awards is that nominations did not go to Simon Russell Beale for his incisive depiction of a Soviet monster in “Death of Stalin” or Richard Jenkins for his unsentimental portrayal of a gentle soul in “Shape of Water”. It has been a great year for film scores with nothing to separate the candidates save personal taste. I’ll be happy to see any of the nominees pick up the Bafta award although it’s a shame there couldn’t have been a sixth for Carter Burwell’s evocative music for “Three Billboards”. In the U.K., an edited version of the awards ceremony hosted by Joanna Lumley will be broadcast on BBC1 at 9pm. The red carpet will be streamed on Facebook from 6:30pm GMT and the ceremony will be covered by BBC America. This entry was posted in Comment, Film and tagged 'The Shape of Water', 'Three Billboards Outside Ebbing, 71st British Academy Film Awards, Bafta Film Awards, Florence McDormand, Sally Hawkins. Bookmark the permalink.